I.O.I, the new girl-group produced from "Produce 101", will release a mini-album in early May. On April 3rd, it was revealed the group will make their debut with a digital single. A mini-album will be released in early May. There's also a high chance the upcoming album will include "Crush" by Ryan Jhun and "When The Cherry Blossom Fades" by B1A4's Jinyoung. The two tracks were not released after the broadcast, so the girls will most likely record new versions of the songs. An official from Mnet claimed the two tracks were not released since the final 22 trainees worked hard for their debut stage. 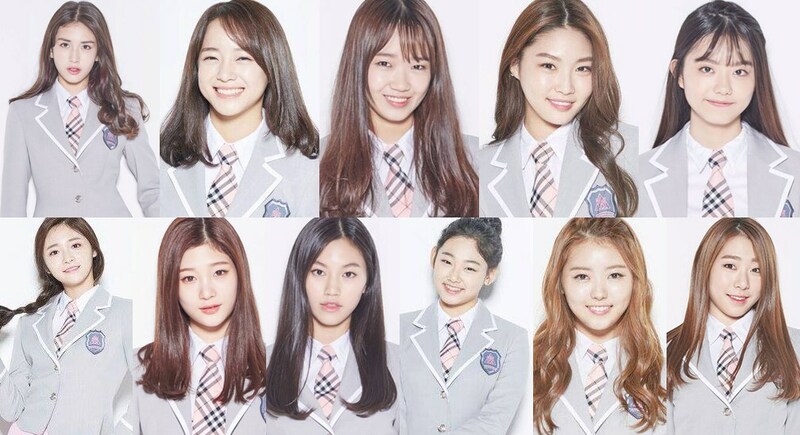 I.O.I's members are: Jeon Somi (center), Kim Sejong, Choi Yoojung, Kim Chungha, Kim Sohye, Zhou jieqiong, Jung Chaeyeon, Kim Doyeon, Kang Mina, Lim Nayoung and Yu Yeunjun.